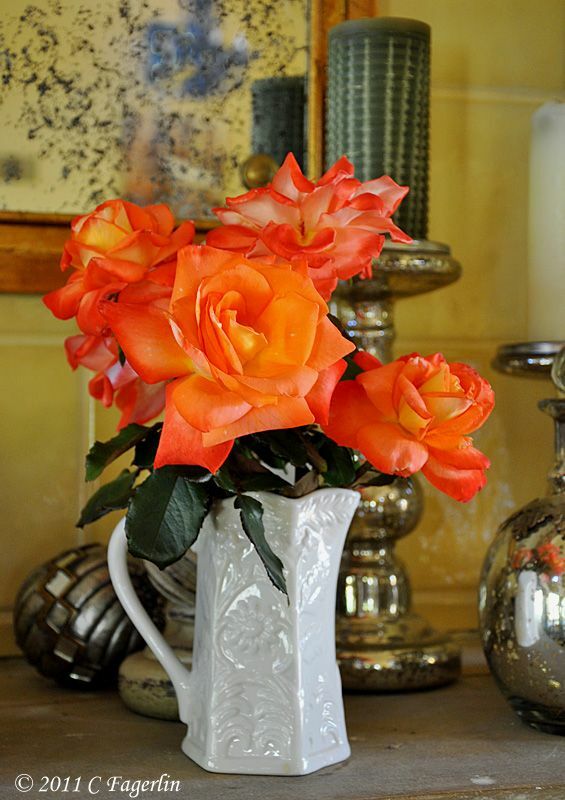 How many different roses do you grow? I am just amazed that you keep showing us such beautiful ones. They are just beautiful! Have a rosey week! Beautiful! I just brought in a few more cuttings of my Queen Elizabeth Grandiflora rose. It's hearty for our area and has proven to be a good one for me! You have an amazing amount of roses! Of course your California climate is much kinder than our Great Lakes region is! 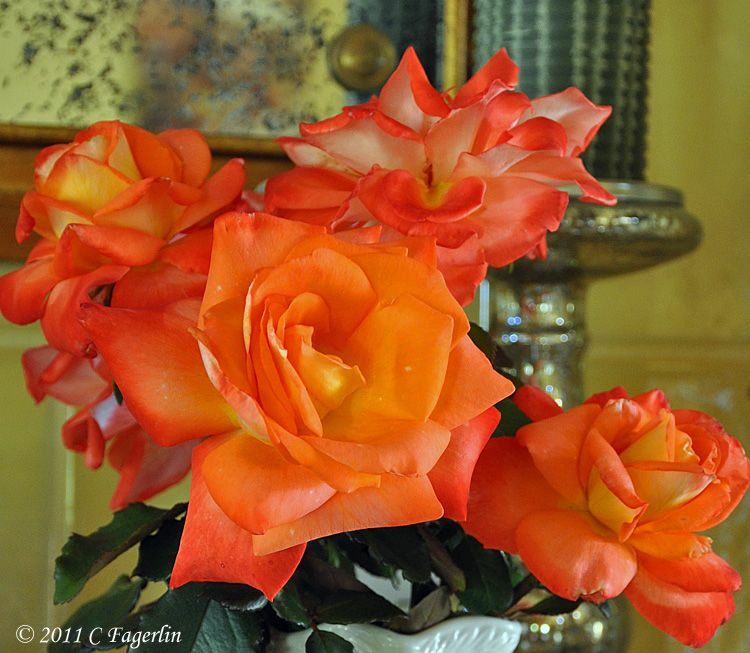 What a great name for this lovely orange rose!